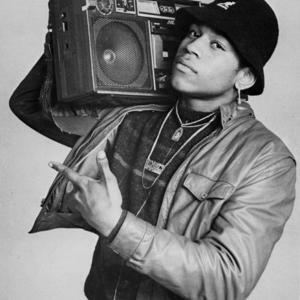 James Todd Smith (born January 14, 1968 in Bay Shore, New York), better known as LL Cool J (Ladies Love Cool James), is a Grammy Award winning American rapper and actor signed to Def Jam. He has released twelve studio albums over his 27 year career, has starred in numerous feature films and currently plays Agent Sam Hanna on the hit show NCIS: Los Angeles. Born in Bay Shore, New York, and raised between St. Albans, New York and Hollis, New York in the borough of Queens. The only child of Ondrea (n?e Griffith) and James Smith, Jr.
Born in Bay Shore, New York, and raised between St. Albans, New York and Hollis, New York in the borough of Queens. The only child of Ondrea (n?e Griffith) and James Smith, Jr. Smith is of both African American and Native American descent. He spent his youth singing in the church choir, participating in the Boy Scouts and delivering newspapers.